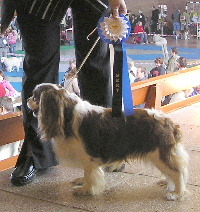 29.12.2006 - Meie R.F. E-pesakond on sündinud! 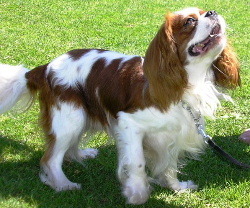 Cisosan Ionessa - CH Ex/1, BB-1, LV CAC, BOB>>> LV & BALT CH! OPEN Ex/1, CAC, BD-1, BOB >>> EST & LV & RUS CH!!! PUPPIES! 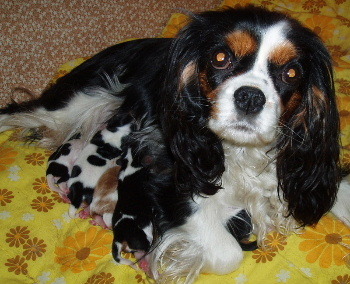 - Our D-litter has born on 11th of Nov! More information will follow on the "Puppies" page soon! 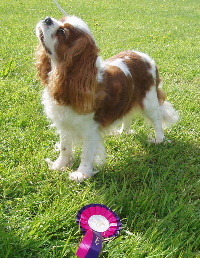 BEST TRICOLOUR PUPPY "MINOR FELICITY"
Royal Fantasy The King Of Moon River (ow. Signe Selgal) - OPEN Ex/1, BD-1, CAC, BOB, BEST BLENHEIM "WINTER DESIRE"
Couple: Royal Fantasy The King Of Riverdance & Royal Fantasy The Queen Of Iceberg - BIS 1 COUPLE ! 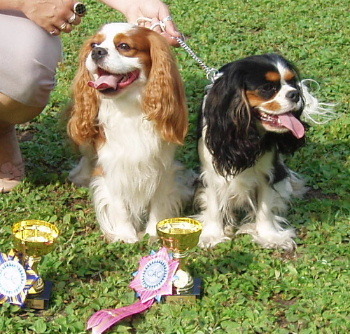 Breeders Class "Royal Fantasy" - BIS 1 BREEDER !!! 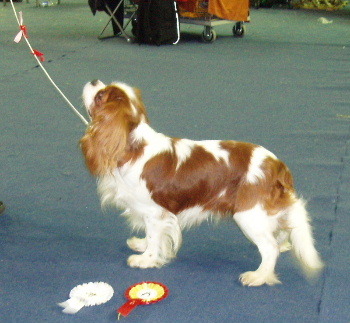 Cisosan Ionessa - CH Ex/1, BB-1, CACIB, BOB, BIG-2 ! 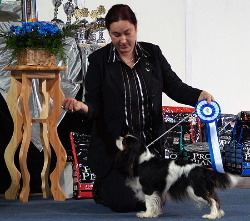 L&K/Child&Dog - Stella Marii & Dandy - 1. koht/place !!! 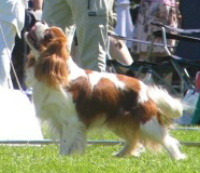 Royal Fantasy A Capella - JUN Ex/1, JUN CAC, BOS JUN >> EST JUN CH !!! 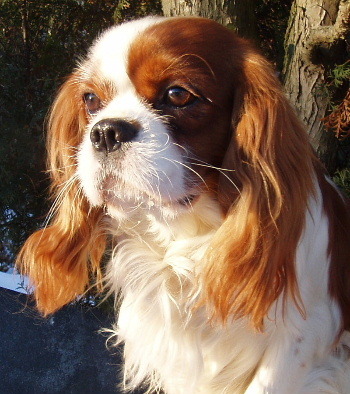 Helandros Fantasy Fiona - VET Ex/1, BB-3, BOB VET, VET BIS-4 ! 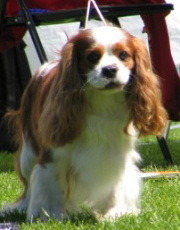 Helandros Fantasy Fiona Progeny Class - Ex/1, BIS-2 PR.CLASS ! Couple - Dandy & Chilly - Ex/1, BIS-2 COUPLE ! 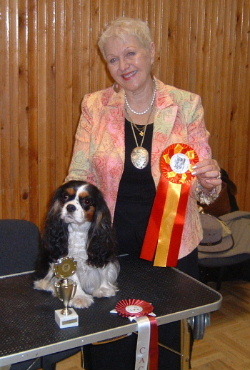 Stela Marii & Dandy - Child & Dog Competition - 1. PLACE !!! Stella Marii & Dandy - Child & Dog 1. PLACE !!! 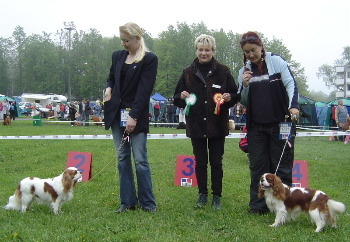 Stella Marii Tipp - Child & Dog Competition - 1. PLACE! Couple Dandy & Fanny - BOB couple, BIS 2 Couple! Royal Fantasy The King Of Riverdance - CH EX/1, BD-1, CACIB, BOB, BIG-3 (!) >>> INTERNATIONAL CHAMPION !! !